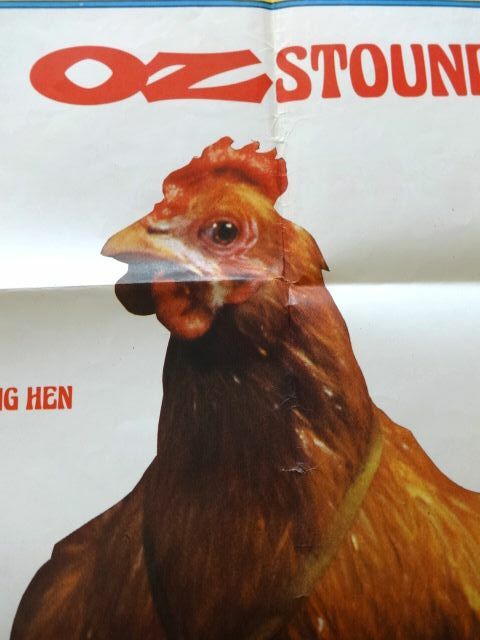 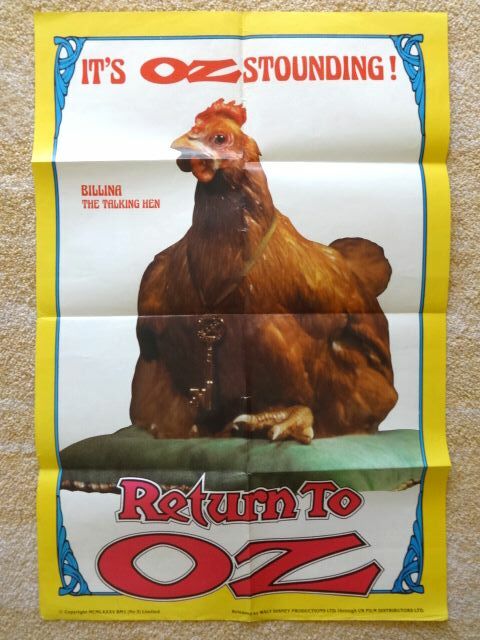 Here is a rare British Return to Oz movie poster featuring Billina the talking hen wearing an Oz key around her neck. 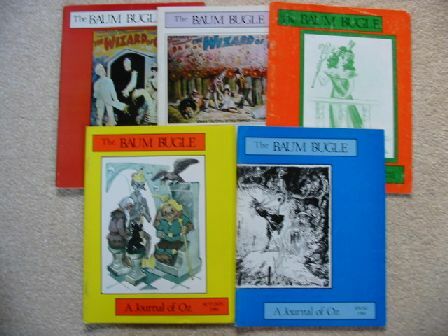 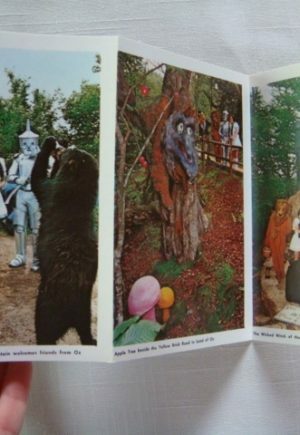 Copyright 1985 BM1 (No 3) Limited. 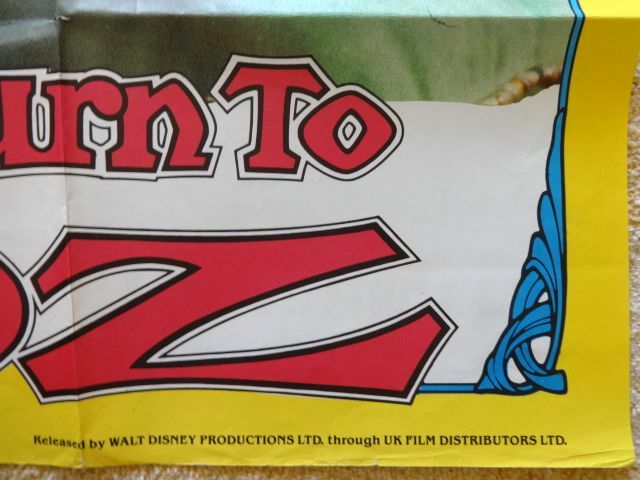 Released by Walt Disney Productions Ltd through UK Film Distributors Ltd. 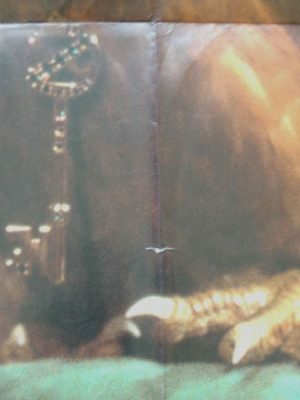 Size is about 20″x29 1/2″. 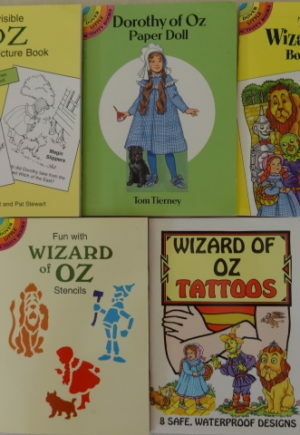 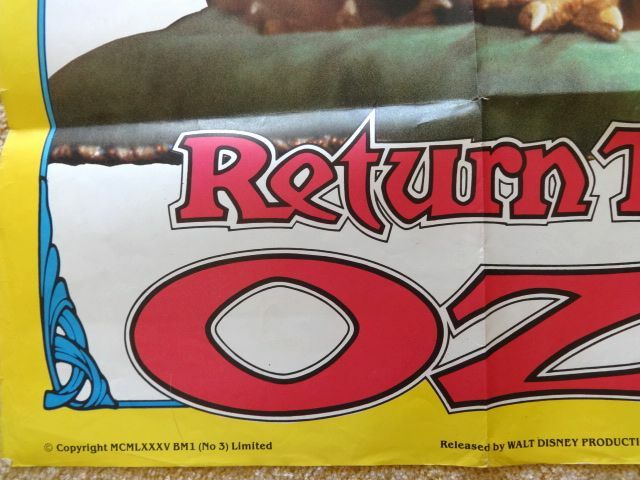 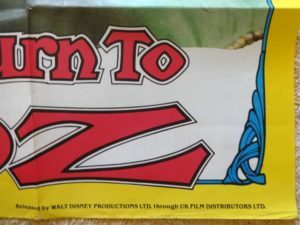 In good condition, folded as issued, with a few small tears along fold lines and some writing on the back (Return to Oz, 1985, etc).